Over the past month, an enormous number of ruthless treasure hunters from all over Bulgaria have been pillaging several unexplored archaeological sites near the town of Vetrintsi, Veliko Tarnovo District, including a medieval fortress and a Late Iron Age settlement, reports local newspaper “Borba". 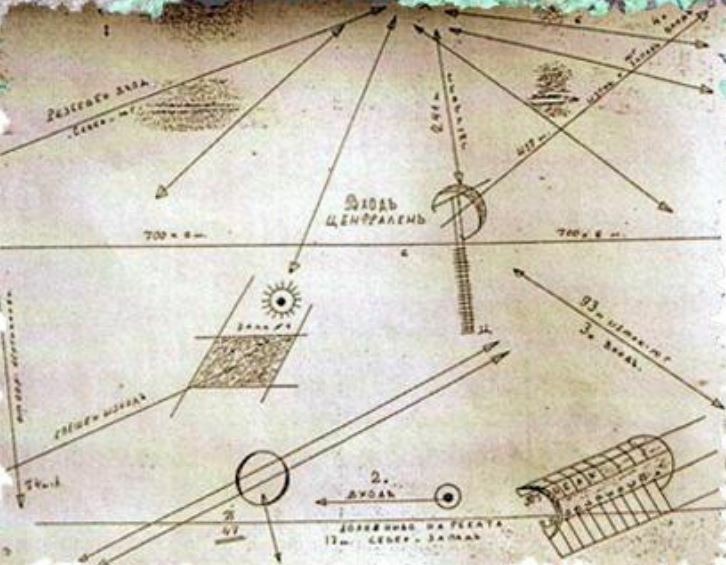 Treasure hunters have flocked to Vetrintsi in the hundreds digging dozens of deep pits and even tunnels in search for the the alleged gold treasure of Valchan Voivoda (1775-1863), a legendary Bulgarian voivode and “haidutin”. Voivode (“war leader” or “warlord") was a medieval title for a military commander from the time of the Second Bulgarian Empire (1185-1396 AD) which during the period of the Ottoman Yoke (1396-1878/1912) was assumed by the leaders of Bulgarian haiduti, Robin Hood-style rebel bands robbing rich people and employing guerilla warfare against the Ottoman forces (for more detailed explanations see the Background Infonotes below). 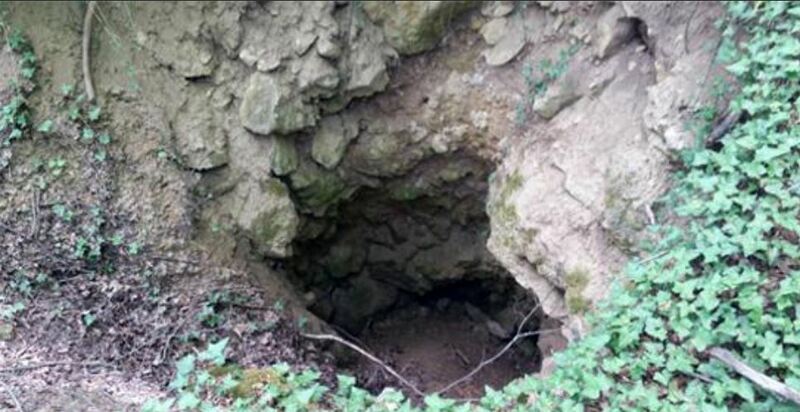 According to the report of the Veliko Tarnovo daily Borba, dozens of underground tunnels spanning up to 50 meters have been dug up in an area known as Magareshki Tokove (Donkey Heels) near Vetrintsi. The looters’ tunnels go under the citadel of a medieval fortress. Dozens of pits have also been dug up on the site of an Early Christian monastery near a medieval cemetery, while down the same hill local archaeologists have found (but not excavated) a Late Iron Age settlement. The newspaper points out that treasure hunters have managed to dig up by hand and in extreme conditions dozens of tunnels in three areas known as Gushterskoto Usoe (Lizard’s Deep), Paychovi Varbi (Paycho’s Willows), and Hanskata Stena (The Khan’s Wall). Because of their specific position, three hills rising there have been used by the treasure hunters as reference points. Some of the deeper underground tunnels even have scaffolds installed inside them in order to prevent them from collapsing on top of the treasure hunters. “They have been digging here since the 1990s. This area has always been of interest for them. We have inspected it with other archaeologists but no excavations have been made [here] so far. There has been no funding for [excavations of these sites]," Ivan Tsarov, Director of the Regional Museum of History in the city of Veliko Tarnovo, is quoted as saying. The wannabe looters who arrive from all over Bulgaria usually hire local guides and unemployed members of the Roma community as diggers. The report cites an unnamed local man who makes BGN 100 (app. EUR 50) a day working as a guide for the treasure hunters. “We entered one of those tunnels, and in one of the galleries we found torches that were at least 100 years old left by those who in the past put up the masonry. There are many passes under the fortress. This is where all caravans from Veliko Tarnovo (capital of the Second Bulgarian Empire) and Northern Bulgaria went on their way to the Balkan Mountain pass Hainboaz (today The Republic’s Pass), and then heading to Constantinople and Rome. Later, Valchan Voivoda himself hid here what he had stolen. So they are also searching for whatever he left behind. I have seen maps." Back in 2008, a team of the Veliko Tarnovo Regional Museum of History explored the eastern part of Vetrintsi. The local archaeologists recorded everything that had been preserved from the medieval fortress, including a fortress tower, a 10-meter tall artificial mound, fragments from Ancient Thracian and Ancient Roman ceramics left behind in treasure hunting pits, and at least five well preserved mounds, which were 2 meters tall and 10 meters in diameter. Legends are still told about the underground galleries said to be located under Vetrintsi’s hills. An old Roman road used to go along the nearby Yantra River. The area along the river bank is one of the most frequented by looters, and also has a cave entrance. The looters are trying to discover an area called Mateitsa which is said to hide many underground galleries, temples, and halls with enormous riches. In addition to Valchan Voevode’s treasure, local legends also have it that Tsar Koloman, also known as Tsar Kaliman Asen II, ruler of the Second Bulgarian Empire (r. 1256), had a summer residence near Vetrintsi and also hid a treasure in the area. A week ago local residents heard explosions as the treasure hunters were trying to make their way blasting the rocks. Several reports have been filed with the local police. “I have seen the groups. They are digging every day, and they aren’t even trying to hide. I am startled by their enthusiasm and energy. They work only by hand. Their leaders usually hire unemployed Roma to dig for them. I alerted the police last week because one of the hills across from my home is all over in pits," another resident of Vetrintsi is quoted as saying. The reference points used by the looters are the 700-year-old graveyard, three stair-shaped hills above it, and a huge chessboard-like composition of rocks. “We know about the treasure hunters’ marauding but nothing can be done. I even heard a policeman say that “it’s better for them to search for gold instead of robbing elderly people in the villages"," sums up the sad situation Ivan Tsarov, head of the Veliko Tarnovo Regional Museum of History. The Late Antiquity and medieval fortress in the area Magareshki Tokove (Donkey Heels) is located 1 km south of the town of Vetrintsi on a rocky hill surrounded from the south, west, and north by the Yantra River. The fortress has never been excavated but is believed to be dating from the 5th-7th century AD, and to have been used as a road station along an Ancient Roman road. Because of its location on a hill in the canyon of the Yantra River it resembles the capital of the Second Bulgarian Empire (1185-1396 AD) Tarnovgrad, today’s Veliko Tarnov, and especially the royal citadel on Tsarevets Hill. Originally from the period of the Late Antiquity and Early Middle Ages, the fortress near Vetrintsi was also used during the Second Bulgarian Empire, and was utterly destroyed by the invading Ottoman Turks in 1393 AD, the same year Veliko Tarnovo was captured by them, because it resisted the Ottoman invasion. Even though the Vetrintsi Fortress has not been excavated, in the early 20th century it was described by Karel Skorpil, one of the Czech-Bulgarian Skorpil brothers who founded modern-day Bulgarian archeology, as a fortified city with a citadel and three quarters. According to Karel Skorpil, the medieval fortress was called Uste and was an important strategic point in the Second Bulgarian Empire. The route it guarded led to the Balkan Mountain pass known in Turkish as Hainboaz, and called today “The Republic’s Pass". Tsar Koloman II, also known as Tsar Kaliman Asen II, (r. 1256) (written in Latin as Coloman, Colomannus, or Colomanno, allegedly named after Irish Catholic Saint Coloman of Stockerau), was the Tsar of the Second Bulgarian Empire for several months in 1256-1257 AD, in the period of dynastic strife after the reign of powerful Tsar Ivan Asen II (r. 1218-1241) who left as heirs several minors from a total of three marriages. His first heir, Tsar Koloman Asen I (r. 1241-1246) was 7 when he came to the throne, and 5 years later was poisoned by his stepmother Tsaritsa Irina in favor of her son, another minor, Tsar Mihail II Asen (r. 1246-1256). 18-year-old Mihail II Asen was killed in 1256 which brought to the throne their first cousin Tsar Koloman II (Kaliman Asen II), son of Ivan Asen’s brother, Sebastokrator Alexander Asen. Koloman II was also killed prematurely. During the period of dynastic strife in the middle and second half of the 13th century the Second Bulgaria Empire lost a lot of territories and succumbed to late medieval feudal fragmentation which may be construed as a prerequisite for its conquest by the invading Ottoman Turks in the last quarter of the 14th century. Haiduti were irregular rebel bands in Bulgaria (as well as elsewhere in Southeast Europe) during the period of the Ottoman Yoke (1396-1878/1912) who robbed the rich and fought the Ottoman forces employing guerilla warfare. They have been likened to legendary English outlaw Robin Hood, the difference being that in the case of Bulgaria and other Balkan countries the rich were also the foreign (Ottoman) occupants. While during the entire period of the Ottoman Yoke, the haiduti engaged in robberies and banditry, in the 17th, 18th and especially the 19th century they became actively involved in the fight for Bulgaria’s National Liberation, their cheti (bands) and guerilla warfare supporting Russian and Austrian forces fighting the Ottoman Empire. In the second half of the 19th century, the haiduti with their hit-and-run guerilla tactics often stood in contrast to the modern nationalist Bulgarian movement whose apostles, as they are known, advocated all-out mass Bulgarian uprisings against the Ottoman Empire such as the April Uprising (1876) and the Ilinden-Preobrazhenie Uprising (1903). The known names of haiduti leaders, or voivodes, are in the hundreds, and even though historical documents about many of them are scarse, the exploits of pretty much all of them have been perpetuated in legends, folklore songs, and folklore tales. Voivode (voivoda in Bulgarian) meaning “war leader" or “warlord" is a Slavic title of a military commander used in the medieval Bulgarian Empires as well as in other Eastern European and Slavic countries. After the demise of the Second Bulgarian Empire at the end of the 14th century, the title “voivoda" (voivode) was assumed by the leaders of haiduti bands which were Robin Hood-style outlaws robbing the rich and attacking the Ottoman occupants at the same time. Valchan Voivoda (1775-1863) is a legendary Bulgarian guerilla fighter, a voivode of a band of haiduti, against the Ottoman Empire from the end of the 18th century and the first half of the 19th century. Not much is known about his life from written sources while much comes from legendary tales. During the “mature" stage of his “career” as an outlawed rebel he commanded a band of 70 haiduti that was active in different areas of the occupied Bulgarian lands. He is said to have first fled from the Ottoman authorities after killing a Turk who was making passes at his fiancée (his sister, according to another account). Later Valchan Voivoda is believed to have acquired enormous riches from the robberies of the rich and the Ottoman authorities. He was a close friend with other legendary Bulgarian voivodes of haiduti bands such as Indzhe Voivoda, Hristo Voivoda, and Kara Kolyo, and together with them and other associates funded two Bulgarian monasteries – the Ustremski Monastery “Holy Trinity" in the Sakar Mountain in today’s Southeast Bulgaria, and the Seven Altars Monastery in the Balkan Mountains north of Sofia. He is also believed to have funded the construction of bridges and the education of young Bulgarians abroad. During the Uprising in Thrace during the Russian-Turkish War of 1828-1829, the then 53-year-old Valchan Voivoda participated with his cheta (band) in the 1000-strong volunteer unit of another Bulgarian revolutionary, Stoyko Mavrudov, taking part in the liberation and defense of the Black Sea town of Sozopol together with forces of the navy of the Russian Empire. Valchan Voivoda is believed to have died of natural causes in the city of Tulcea, then largely Bulgarian-populated, or in the city of Braila in Wallachia (both are today Danube cities in Romania). The legends for Valchan Voivoda’s riches range from tales about how he gave the haiduti treasury to Bulgarian traders Evlogi Georgiev and Hristo Georgiev to found a Bulgarian school of higher education after Bulgaria’s Liberation (which they did in 1888 when they founded Sofia University “St. Kliment Ohridski" but with their own money, according to the officially accepted history) to tales about how he send emissaries to the Tsar of the Russian Empire offering to pay for a war against Ottoman Turkey for the Liberation of Bulgaria. It is believed that Valchan Voivoda not only robbed Turkish warlords and administrators but also collected Ancient Thracian and Roman treasures from all over Bulgaria. It is also widely thought that he was a Bulgarian Robin Hood and spent the riches he acquired to support monasteries, build bridges, educate young Bulgarians abroad, and fund other revolutionary units fighting the Ottoman Empire.